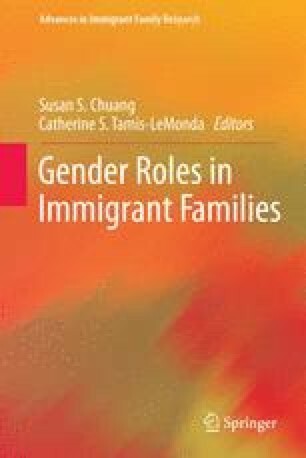 This chapter examines contemporary Chinese families, with a specific focus on fathers. It is only recently that researchers have paid greater attention to ethnic minority fathers, using fathers instead of mothers and children as the informants. With the recent public interest in Chinese families, it becomes imperative that researchers are critical about the social, cultural, political, and economic contexts that may influence family dynamics and relationships. My studies will support the notion that immigrant Chinese and Mainland Chinese fathers are actively engaged in their children’s lives and hold a more egalitarian, child-centered approach to parenting. Confucian teachings are no longer a strong influence on families. Canadian Multiculturalism Act. (1988). Canadian Multiculturalism Act. Retrieved on March 4, 2013 from http://www.solon.org/Statutes/Canada/English/C/CMA.html. China Government. (2012). V. Women and education. Retrieved May 31, 2012 from http://www.china.org.cn/e-white/20050824/5.htm. Chinese National Bureau of Statistics. (2001). Fifth bulletin of national population census (no. 1). Retrieved March 31, 2003 from http://stats.gov.cn/tjgb/rkpcgb/qgrkpcgb/200203310083.htm. National Bureau of Statistics of China. (2008). China statistical yearbook 2007. Retrieved on July 17, 2008 from http://www.stats.gov.cn/tjsj/ndsj/2007/indexee.htm. Statistics Canada. (2006). The 2006 census: Immigration, citizenship, language, mobility and migration. Retrieved on January 14, 2008 from http://www.statcan.ca/Daily/English/071204/d071204a.htm. The China Post. (2011, February 8). China’s divorce rate jumps: Wealth, regulations blamed. Retrieved May 27, 2012 from http://www.chinapost.com.tw/china/local-news/hong-­kong/2011/02/08/290264/Chinas-divorce.htm.